We know you have choices, and we’re glad to be your #1 choice for your Transportation needs. We pride ourselves on being “The Bus Specialists”. 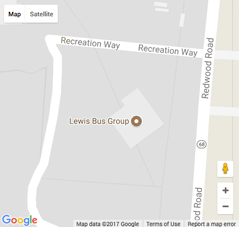 It helps to have the right equipment, and that's what Lewis Bus Group provides. Whether those needs are for School Bus, Transit Bus, Shuttle Bus, ADA Vehicles, Limo or Custom/Specialty Vehicles. We have you covered, mile after mile. Primetime Specialty Vehicles and more. We are a full-service maintenance provider and ASE certified BUS shop. Our Technicians and Parts Specialists are Bus Specialists. We are committed to providing the best in class service for our customers. Lewis Bus Group’s shop is a fully certified Warranty representative for several component manufacturers. You will always be taken care of and treated with top priority. We are dedicated to the Service, and Support of the vehicles we sell. CNG, Propane and Electric Buses: Lewis Bus Group is an alternative fuels specialist with experience and certifications to provide maintenance on all your alternative fuel needs. Financing options: We have a multitude of finance sources to help find the right option for your situation. Custom buying and lease programs are available. Short term vehicle rentals are also available. Whether you buy a bus from us or utilize our parts, service, and support systems. You can be assured that your needs will be taken care of. As President and CEO of Lewis Bus Group, Jason's values of Putting the customer first are the base of our company's philosophy. With over 25 years of business management experience, 18 of those specific to the bus industry, he strives to consistently bring you the ultimate customer experience by exceeding your needs and to create an open, progressive environment for his employees. A retired former Lieutenant with S.L.C. PD and Captain with Riverton, WY PD, C.T. Smith has found a second love protecting the school children of Utah and Wyoming. Also a retired driver and transportation supervisor, C.T. joined Lewis Bus Group to advocate and grow the Thomas Built Buses name in the two states before quickly gaining rank and moving into our General Manager position in 2018. An activist for safety with the knowledge of a retired transportation supervisor, his natural knack for the school bus market has made him the ideal person to lead our strong team of individuals focused on building and bettering the company to best serve your needs. Justin is a Lewis Bus Group legend. 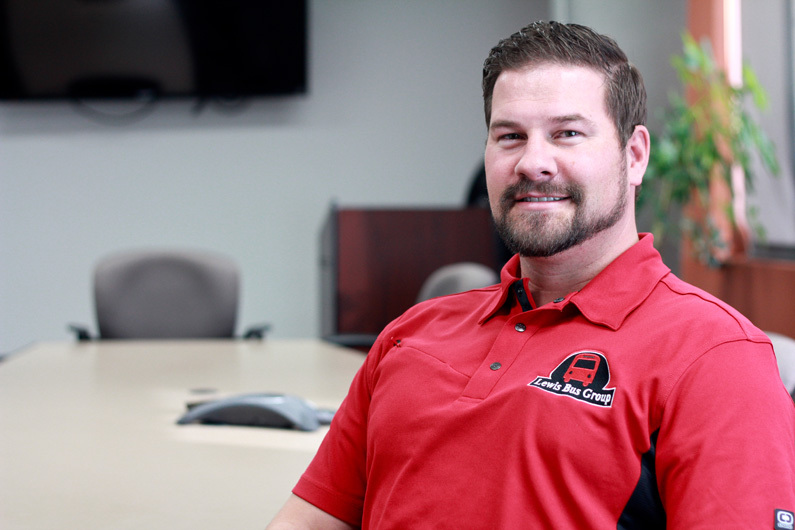 From customer preferences to new and innovative technology, marketing to managing to relationship building, Justin has brought unprecedented contributions to our family here at Lewis Bus Group. Carrying over 20 certifications with 17 years of experience in the transportation industry, seven of those in Pupil Transportation and Commercial Transit and four years in the United States Army Infantry as a mechanic on the M2A2 Bradley Fighting Vehicle, you can understand all that Justin brings to the table. Janet has over 30 years experience in Accounting and began her career at Lewis in 2006, where she quickly fell in love with all we do. She manages the day-to-day office operations and is dedicated to making sure there is support to not only our employees, but to our customers and vendors. Ask anyone here and they’ll agree, Janet’s the glue that holds us all together. With 13 years in sales and customer service, Amanda brings creative intelligibility and a translucent perspective with a can-do attitude to the Lewis Bus Group Family. The liaison with hands on everything, she facilitates cross-department communication on each sales transaction and coordinates marketing efforts, events and conferences. 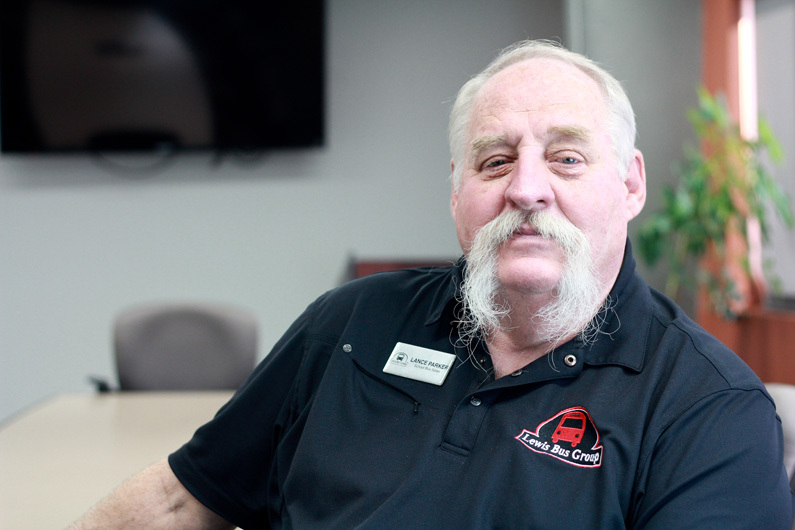 Lance Parker is The Bustache, a former Navy mechanic with over 40 years of experience in the transportation industry. 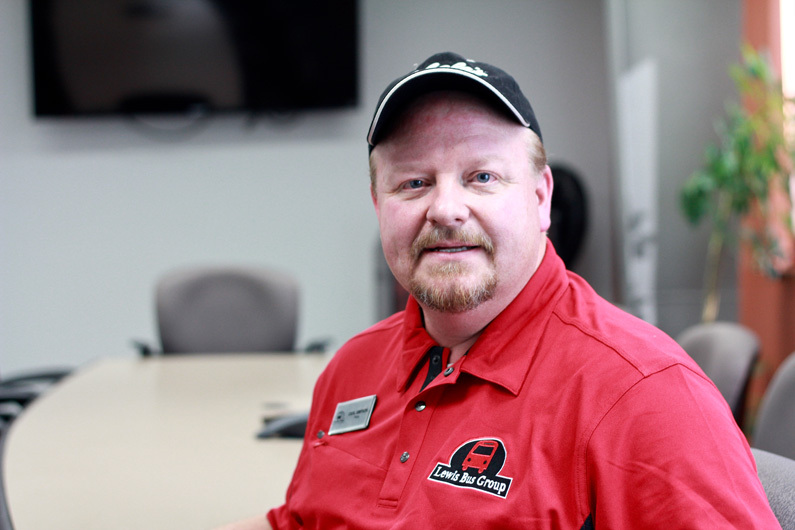 After proudly serving his country and seeing the world, Lance joined the Cummins Intermountain team where he wrenched for 16 years before being promoted to Supervisor and later to Sales where he spent another decade. Lance joined the Lewis family in 2003, before we were what we are today, and as we've grown, so has he. 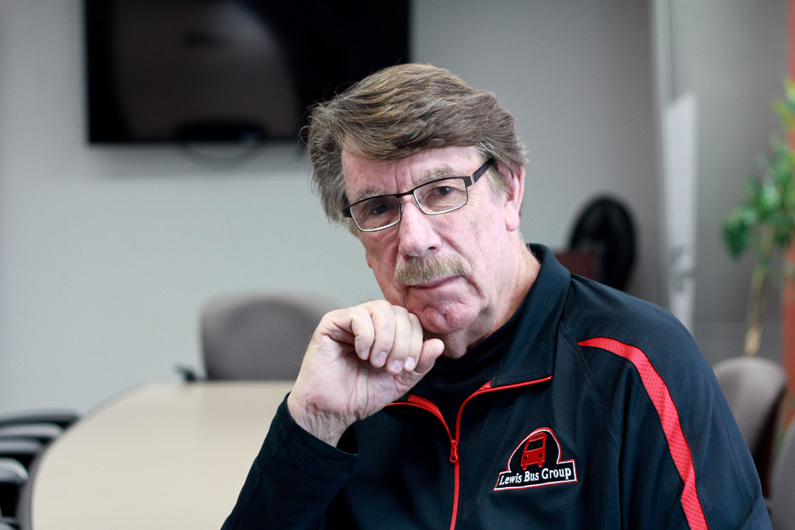 Roy found his passion for the transportation industry in 2005 when he began cultivating the several-decade old relationships that still exist, from as far north as Montana and stretched as far east as Kansas. Roy’s your go-to guy for the latest design and technology for shuttle fleets, included 4x4 snow coaches for customers such as Yellowstone Park, Glacier National Park and the airport shuttles servicing Salt Lake City International Airport. Custom design, custom floorplan, he’s got you covered. 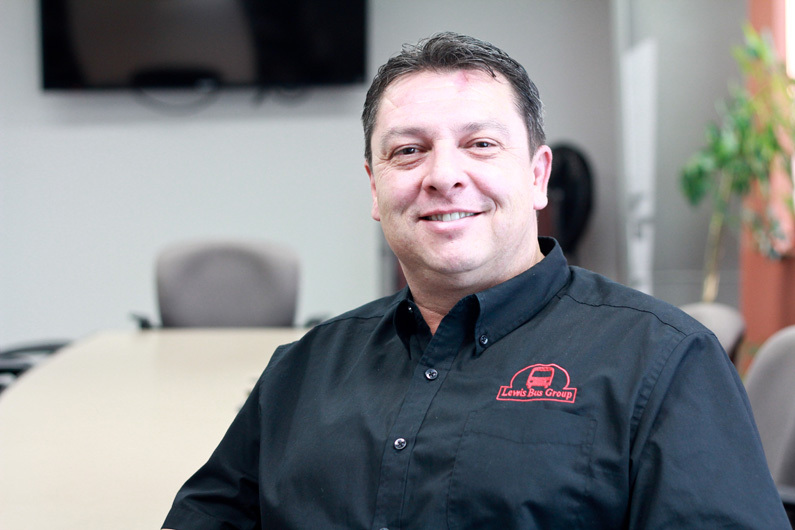 With a mixed mechanical/sales background, Gordon is truly your Bus Specialist. Gordon worked as a light-duty mechanic for LBG for three years beginning in 2010 before being promoted to Service Writer in 2013, and again in 2014 to Commercial Bus Sales. If you've worked with Gordon, you know he loves what he does and thrives when faced with an opportunity to match his customers to the exact vehicle to suit their needs. If you haven't worked with Gordon, we invite you to get to know him and what he can bring to your company or fleet. "From the top floor to the shop floor" is an expression used often at Lewis Bus Group, used to describe the type of widespread communication that’s ideal from the upstairs sales offices to the technicians, parts and service on the ground keeping everything fluid. The same expression however, could be said of Mark Barry’s impressively extensive career in the transportation industry, at Lewis Bus Group in particular. 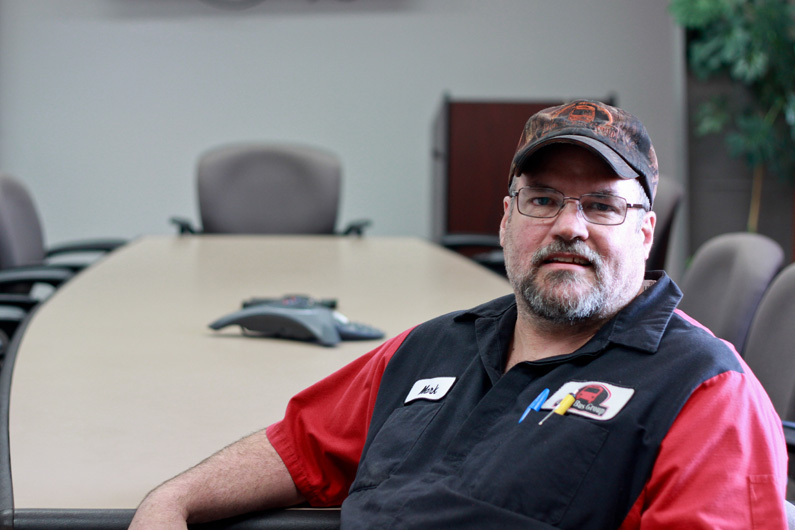 With 18 years logged at a local charter company, Mark transitioned to Lewis Bus Group in our early years and contributed in every aspect, from Service Manager to Foreman to Expert Technician for a dedicated 11 years; Mark knows more than most others combined. After a brief two years in Missouri with family, he and all his mechanical wizardry returned to Lewis in 2018. We couldn’t be more pleased to welcome Mark Barry back. Jonathan is a meticulous master mechanic who takes pride in his work, ensuring each vehicle he touches leaves 110%. His certifications include: A.S.E. Master School Bus Technician, A.S.E. Master Transit Bus Technician, State Safety Inspector (Heavy and Light duty), IMACA (air conditioning), M.S.E. (wheelchair lift), Detroit Axle Systems, TBI Professional, TBI Systems Electrical, TBI Systems Vehicle, Thomas PDI, and Open Water Diver. Jonathan carries a class B CDL with School Bus, Passenger, and Motorcycle endorsements. Needless to say, we've been happy to have him as part of our family since 2011. It was a dark in stormy night in 2015 when Tyler first came to Lewis Bus Group. He had just returned to the lower 48 after five years as a bus mechanic for Princess Tours Alaska, and we anticipate him sharing his knowledge and humor with our staff for many more years to come. 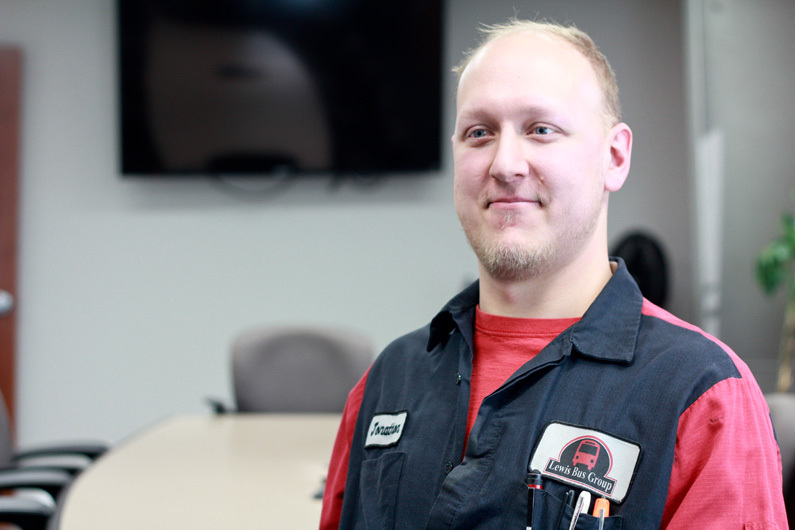 Tyler carries the following certifications: DATC Heavy Diesel Technology program graduate, MACS Air conditioning certification, Thomas Built Systems certification and Detroit Axle Certification. Sam is our Field Response Technician at the helm of the newest addition to our Service vehicles, the Field Response Unit and Mobile Command Center. He's been with Lewis since 2014, and is trusted with some of our toughest repairs. Sam graduated from the DATC in Diesel/Heavy Duty Technology and carries the following certifications: Thomas PDI's, State Safety Inspection, and MACS Section 609 Refrigerant Recycling and Recovery. When he's not at work, Sam loves tinkering with anything that has an engine or racing at the local tracks. Carl is our Parts Supervisor, Acoustic Troubadour and Resident Photographer. Married to the automotive/trucking industries and his high school sweetheart for twenty-five years each, Carl brings 15 years experience in Service Writing and Management, nine years in light and heavy-duty truck parts sales and two years as a mechanic for 4x4 conversions with Paccar certifications in Customer Relations and Warranty Administration. Carl's a real catch with exemplary career achievements and a constant desire to learn— you may hear him strum his guitar from behind the parts counter or catch him teaching himself banjo on his lunch break. Saysha brings sunshine to the Parts Counter regardless of the Utah weather we're battling outside. 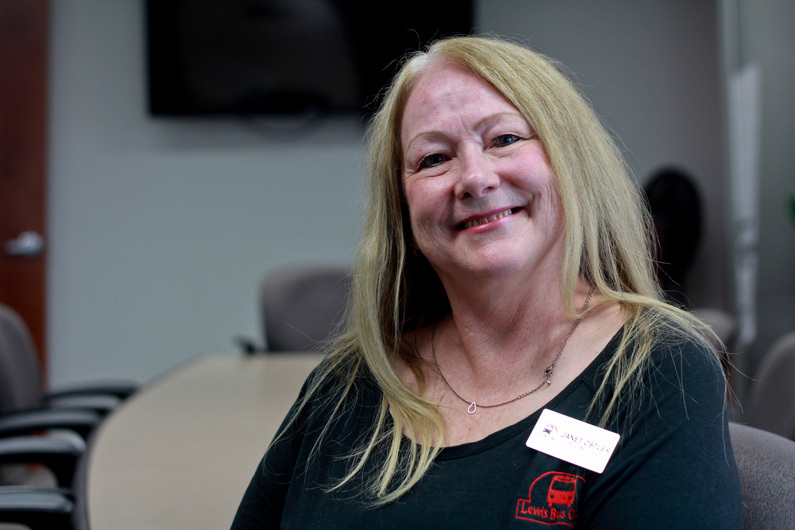 New to the transportation industry, she's jumped in feet first eager to learn and help wherever she can. Currently her efforts as Parts Delivery and Outside Sales have allowed her department to venture into territory not previously explored by Lewis Bus Group and her genuine, go-getter attitude guarantees we'll find the part you're looking for if it's not in stock.